Car care enthusiasts debate whether it is a good idea to use a water blade on a car. These are often called “California Water Blades,” but there are a few varieties that go by different names. 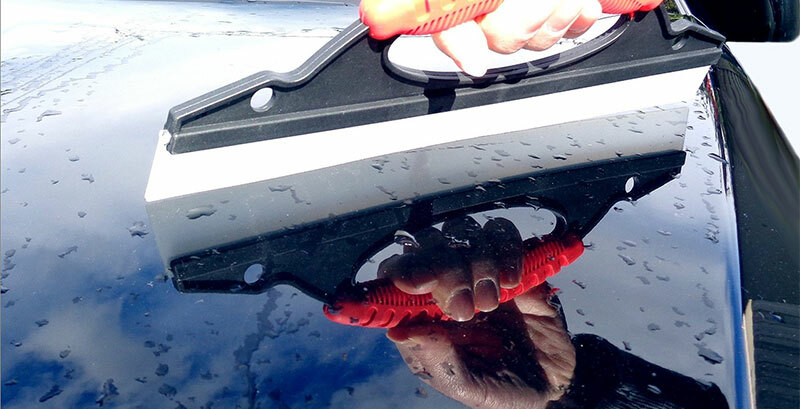 The blade works like a windshield wiper and acts like a squeegee in wiping water off the surface of a car after you’ve rinsed off the car wash soap. The obvious drawback is that it is possible for a speck of dirt, or something else, to get lodged between the blade and the surface and cause a scratch on the finish. If you are careful to wipe and rinse it after each time of use, that should not happen. If you’ve already decided that you need one of these and just need help finding the best car drying blade for your home car washes, check out our list of the top rated car drying water blades below. What Is A Car Water Blade? The water blade is made of medical grade silicone. It is very flexible in that regard, so it can be used on surfaces that are not totally flat. 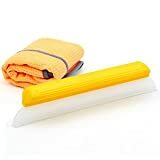 It has a v-blade design, meaning it is shaped like that letter, makes it effective in both wiping away water and drying the surface it is used on. The edge is more like a “T” shape, giving it a straight edge, but since it is made of silicone, it does not scratch any surface by itself. The water blade is used by expert car detailers to wipe away water after a car has been washed, or even if there has been some rain while the car is outdoors. But should you add one to your home car wash equipment? The blade has other uses though, and that may make it valuable for any family to have around. It is like a squeegee in now it functions, but is used differently. 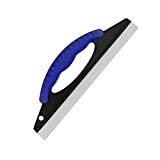 A squeegee generally has a handle attached, whereas the blade is simply a blade you hold in your hand. It allows for more precise use, and more precise control of pressure on the surface because there is not a handle between you and the object. It is great on windows, whether that is in a car, or in a home. It is better than a squeegee because of control issues. People also use it to wipe down a shower after use, or any other surface that gathers water. Since it is small, no handle attached, it stores easily, and can easily be used to wipe away water and dry a surface. The blade by itself will not scratch the finish on a car, but it could in theory grab a speck of dirt or something and drag it along the finish, to cause a scratch. Wiping the blade off often should prevent that. A towel could do the same thing. There is probably no perfect way to dry a car and avoid water spots as swell, but this is one viable option. The great thing about a water blade is its possible uses inside the home and other places where you need to wipe away water in a hurry. There are different brand names, and some are just called wiper blades, but there is only one original California Wiping Blade. 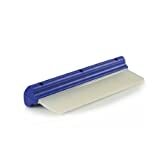 There is also something called a jelly blade, that uses the same materials to create a wiping blade. The jelly blade is even more flexible and is said to cause fewer scratches, however the California water blade is stronger. If you want to dry your car off as fast as possible, and leave no water sports, this might be a great choice. They are made by different companies and are relatively inexpensive. Whatever you think about the debate among car detailers about whether the blade should be used on a car, consider its other uses on other surfaces.